The entire Smith family walked the red carpet together for the premiere of "The Karate Kid" which stars little Jaden. He's been one of my favorite child stars since I found out about him being in this movie, obviously Will Smith is a favorite for anyone, and I've always loved him and Jada together. What I didn't know is that the entire family is hella cool! Check 'em out! What!!! I don't even know where to begin!! Will is probably the coolest dad EVER. Trey looks like he's going to be some music star of some sort. 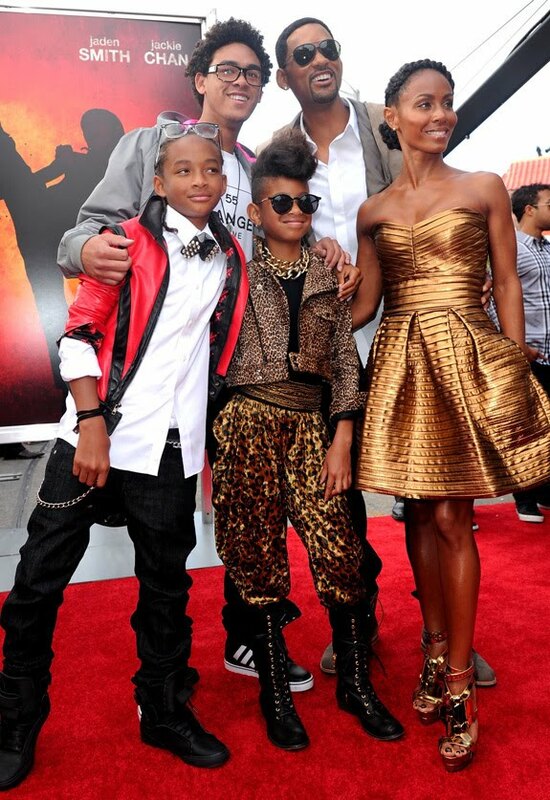 Jaden is SUPER FLY!!!! Jada has her own style of hott. Willow looks like a little Rihanna! She should probably star in one of Rihanna's upcoming videos as her mini-me. DANG girl! You're only 9!! !